First of all great JOB Aerosoft the bird looks amazing....and flies even better totally worth the wait. 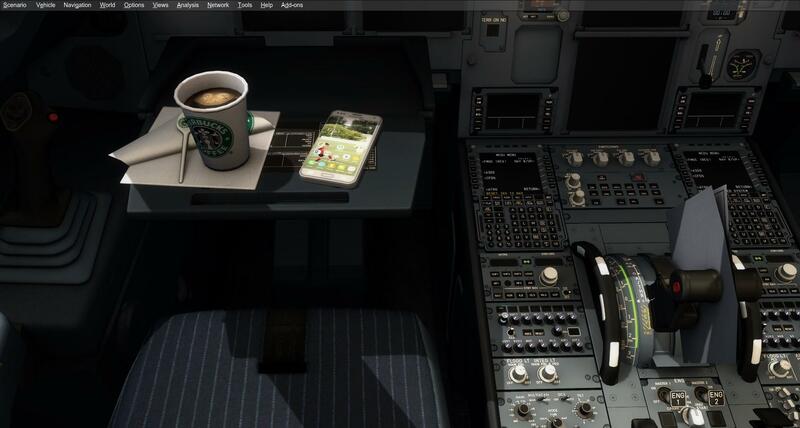 just a quick question the file that contains the phone and coffee cup is it the same for the A319 as it is for the A320-21 ...i modified mine and was wondering if i could just use the same one. Yes those should be 100% the same files. What tweak did you do? Show us a screenshot. We did not want to use Starbucks because they are pretty agressive in protecting the logo.